For $5, I took the tour (which ended up having an English brochure so that I could follow along). The guide took us through the museum and explained the exhibits while I read the English language signs that accompanied most things. 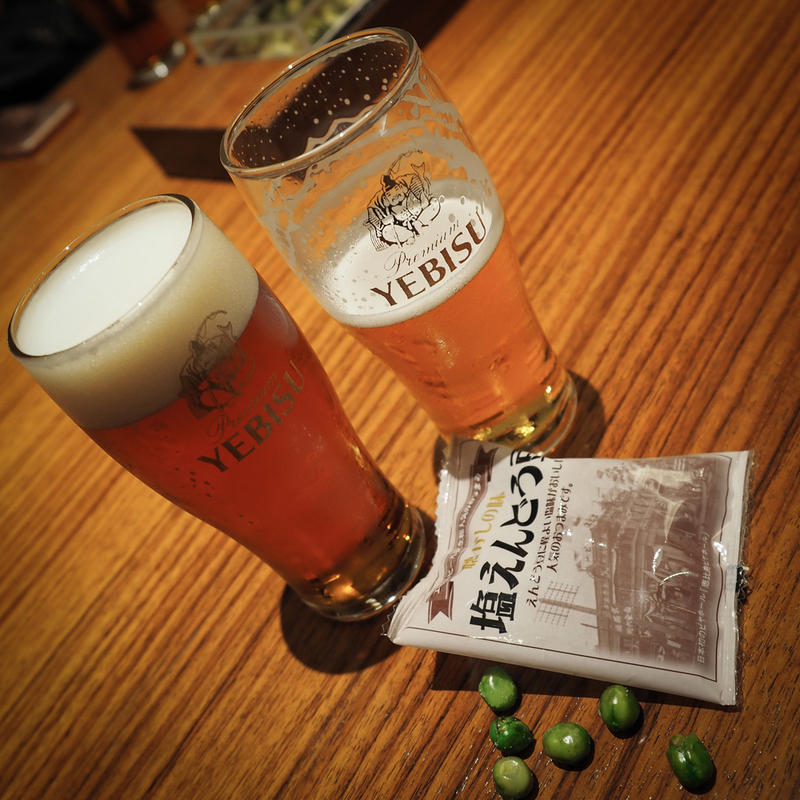 After about 20 minutes of the tour, we were led to the tasting room where we tasted two different types of Yebisu Beer and ate a little pack of what may have been…dried peas? The guide taught us how to pour the ‘perfect beer’ which in Japan has a significant amount of foam on top as opposed to in America where we try to reduce the amount of foam. I was correct in my thinking that I didn’t need to understand Japanese to enjoy their tasty beverages! 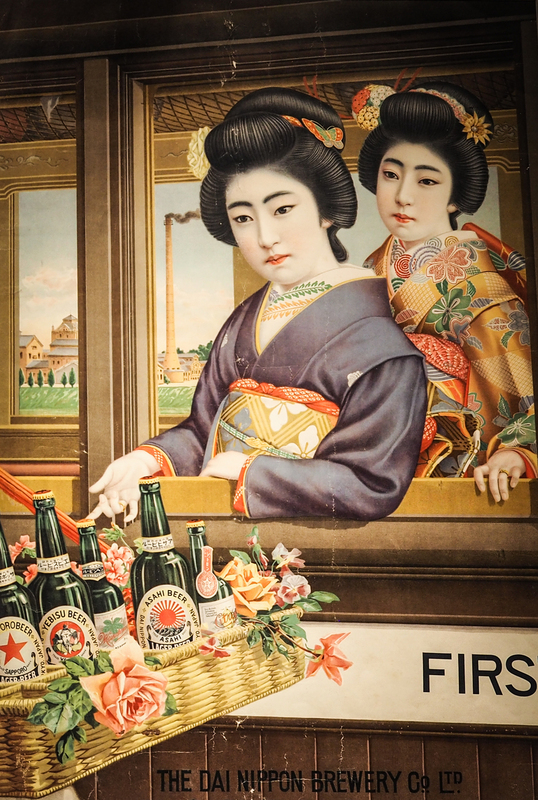 To my surprise, I did actually learn a lot about the brand’s history. The displays were very well done and there were enough English signs to explain things. 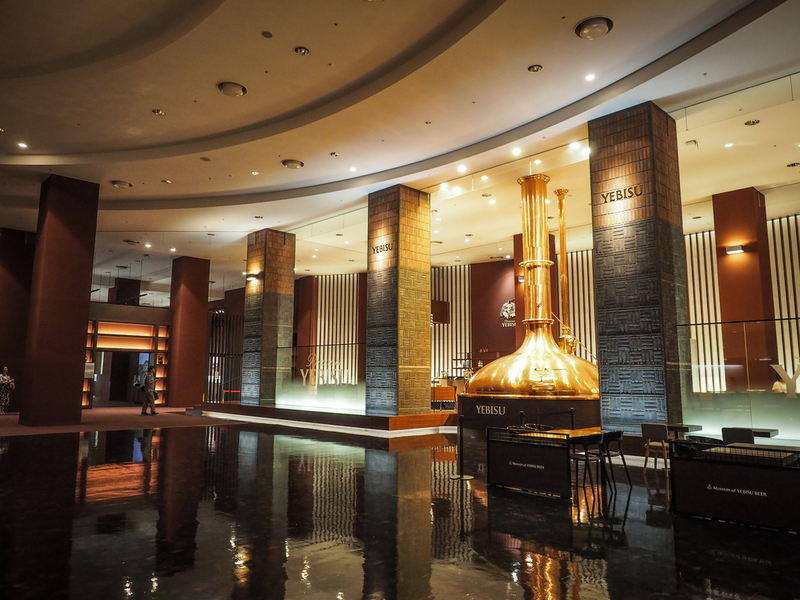 The design of the interior was impressive as well and it was quite beautiful. I’m glad I finally stopped by.